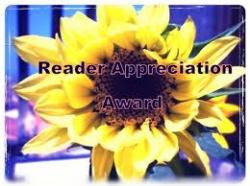 Include the award’s logo in a post or on your blog (see flower photo above). 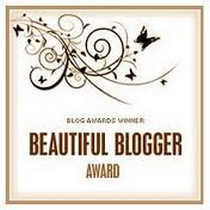 Nominate 10 or 12 other fabulous bloggers. 2. Where would you most like to travel to? To my Dreamland. 6. What is your favorite non-alcoholic drink? Fresh fruit juice. NOW the difficult part of the story is that I need to nominate other blogs knowing that I am following around 100 Bloggers and I love them all. In fact, if I didn’t love them, why would I be following? Around September 2011, I found and joined a wonderful Facebook page Heal Now and Forever Be in Peace, and through this page I linked to my favorite Blogger Jodi Aman who has two great Blogs healnowandforever and Anxiety-Shmanxiety-Blog . I have read and re-read all the posts, many times and need to go there to read every morning searching for the Inspiration/comfort/love which I need to help me through the day. It all started there, and it’s from that place, that I introduced myself into this beautiful Blogging Community. I must now nominate 12 WONDERFUL Blogs which I follow. 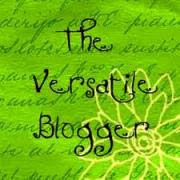 The Blogs I chose are very inspirational, full of knowledge and are certainly worth a visit from you. This is a great opportunity for me to say THANK YOU to all those amazing people who are teaching me a lot. Just few hours after I have wrote this post, I was so pleased and honored to see I have been nominated again by Nicole Cody, author of the great Blog Cauldrons and Cupcakes. Nicole talks on her Blog of many different spiritual subjects. She shares experiences, meditation, self help advice, and many healthy and yummy recipes. 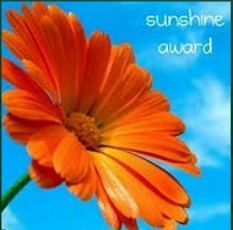 I follow Nicole's Blog very closely, and The Sunshine Award is so well deserved. This new nomination gives me the nice possibility of choosing now 12 additional Blogs I would love to share with you. I have spent all my time wishing I could mention more, and there it comes!! I think that is Law of attraction!!! I really wish I could mention more!!! Thank you so much darling! I may have introduced you to the blogging world but you constantly introduce me to new bloggers! I plan to check out every one of these sights. Wait, so I should consider myself receiving the award, too or not? Haha! Love you, bunny! Do some cartwheels today! Hi, Nikky, I'm following you now. Thanks for stopping by my blog. I love your swan picture. Reminds me of a funny story when my toddler son dropped his shoe in a pond. It floated away like a boat, and I had to race a determined swan to fish it out! Looking forward to reading more. I can Imagine the situation you and the swan!! I hope you won the race? Thank you so much Nikky, I have really enjoyed your blog and all of your comments. I am loving this blogging community!!! I'm looking forward to visiting the other blogs mentioned here! I'm sure you will appreciate all the Blogs I mentioned! And I can't agree more, the Blogging community is just awesome! Nikky, Thank you very much! You are so kind and sweet and a true ray of sunshine with your heart full of love! I will be checking out these other blogs too. Thank you Tina!!! Much Love to you ! Nikky, I am so flattered that you would consider me for an award like this. I actually don't have too many followers who I think would participate in this. But I will mention those blogs I love. Also, the questions actually provide me with something to write about today that I am having trouble thinking of something to say. Thank you so much Nikky. The number of followers is not Important Myrna! It's not what makes our writing valuable. I love your Blog! I would love to meet a few online friends too. It's my goal for this year. I love the way jasmine smells! I hope you will realize your goal!!! Then I will be happily jealous! Snap - I have nominated you too! See - it's because your blog and you are totally wonderful!!!! Thank you SO much Nicole!!! I am so happy you thought of me, and even more happy that you take the time and visit my Blog!!! Nikky, just wanted you to know I finally posted regarding the Sunshine Award. Thanks again for mentioning me, I am honored. Nikky, thanks for the kind mention. You are very, very welcome. I so admire what you do and what have built here on this blog! I have always been fascinated with Mother Teresa; she was such a lovingly hip lady! Congratulations, Nikky. What a nice award to win! What a wonderful surprise to read your comment about the nomination. I greatly appreicate it and thank you from the bottom of my heart. You're welcome!!! Have a great week end too !! Thank you for the nomination :) You're too sweet and I love your wedding picture. I am praying for you always that you will be safe.....love ya! Please subscribe to Comments or come back and check my replies to your comments. Thank you for visiting my Blog!